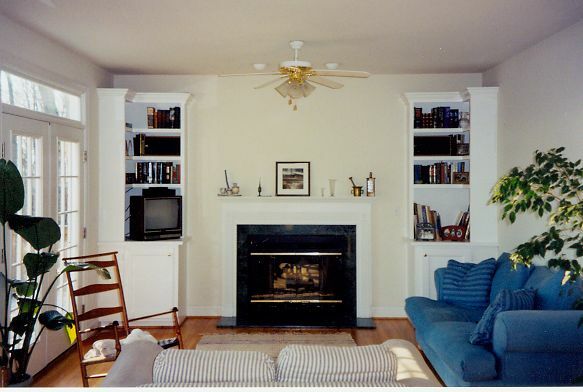 The fireplace can be a gathering spot for family and guests. 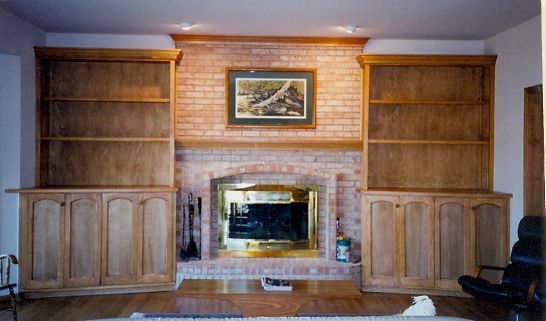 From mantles to complete surround systems, this area can convey warmth and hospitality to the room. 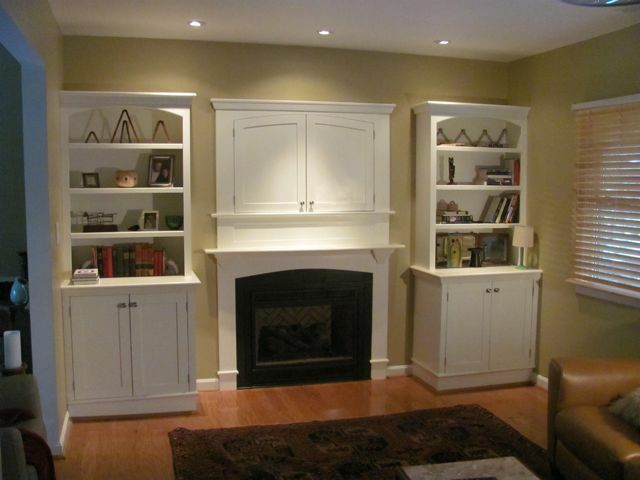 Arts & Crafts style fills an open space and plain fireplace with cabinets and bookcases. 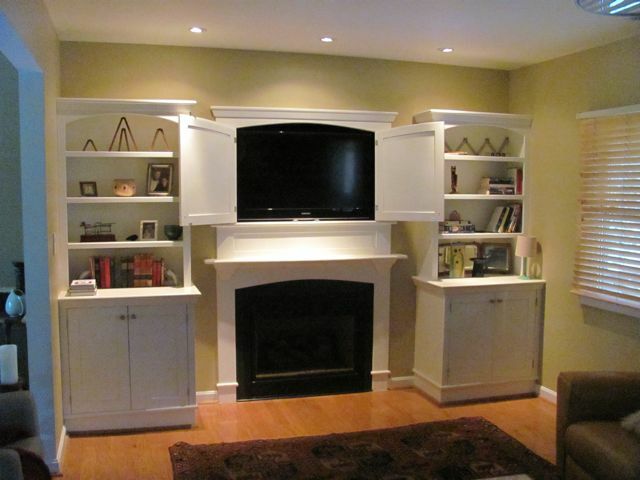 The middle cabinet features a recessed flat screen television. 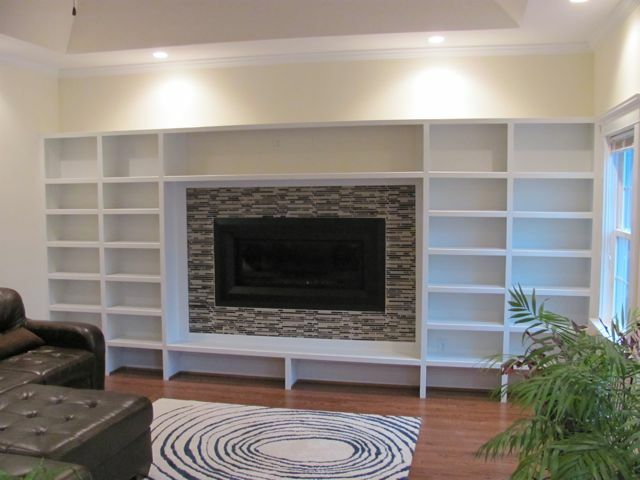 Becomes a wall for art and interests – with adjustable shelving. 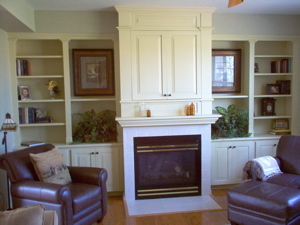 Unified with Shaker cabinets and full-length counter. 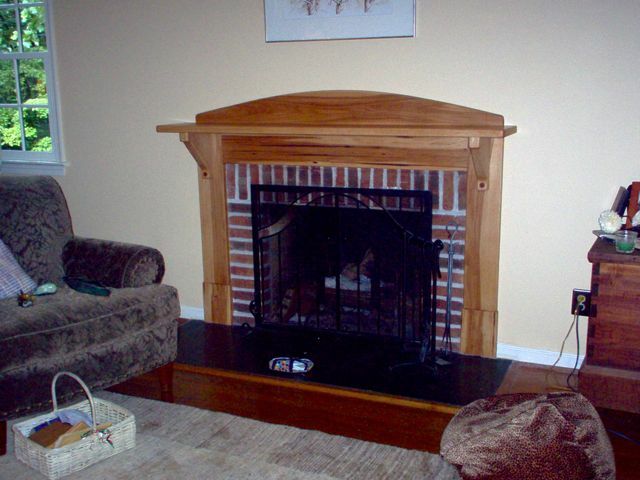 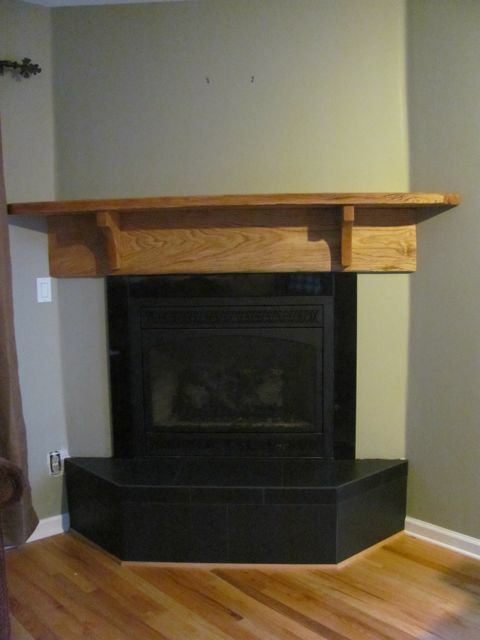 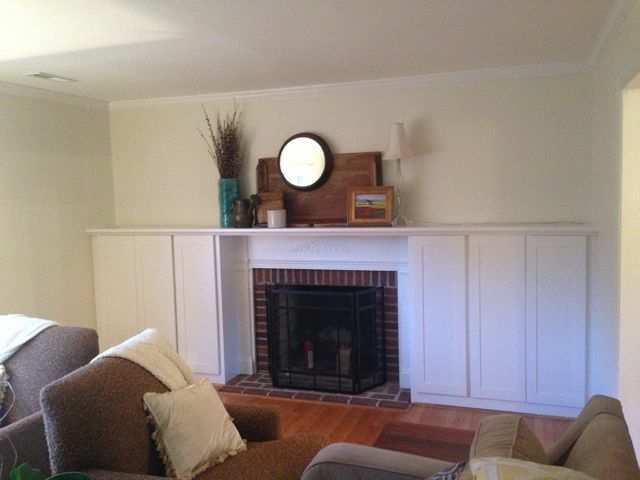 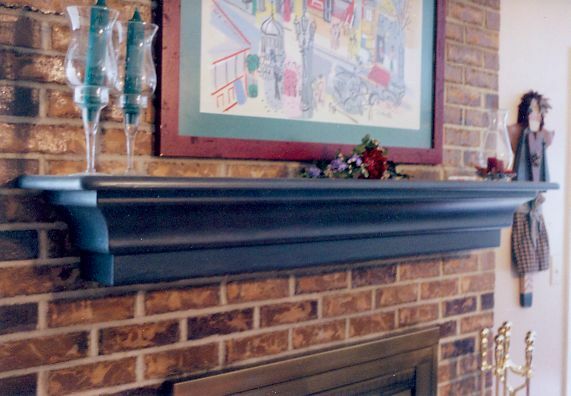 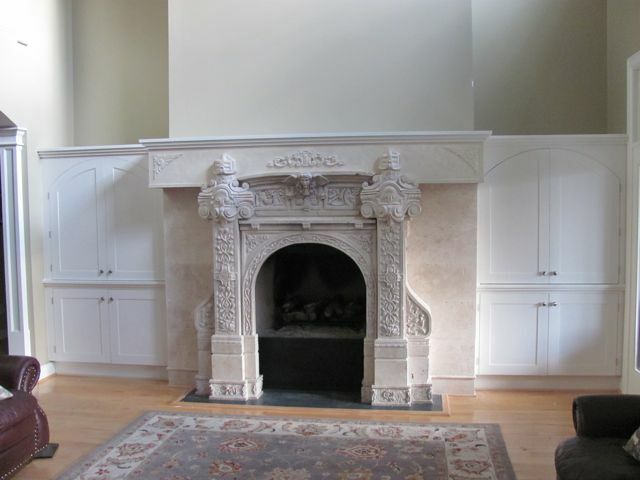 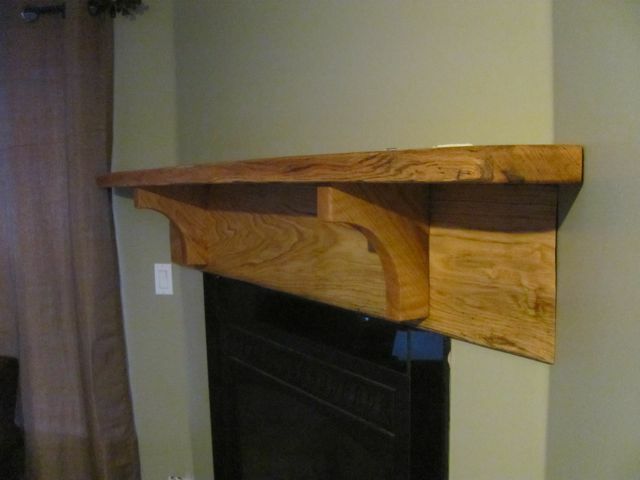 A simple corner fireplace gets attention with corbels on a wide base Oak mantle. 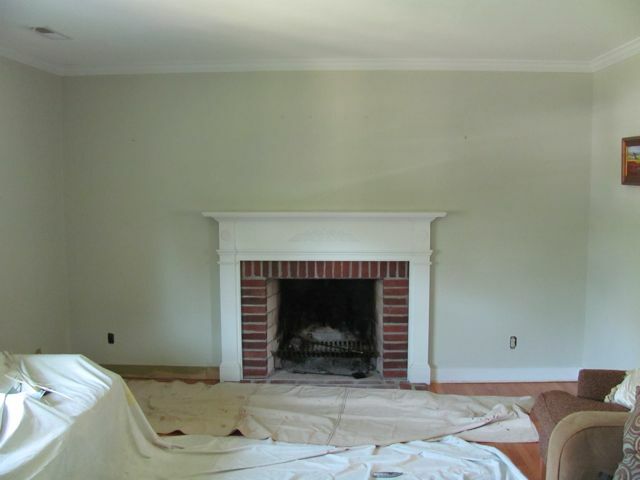 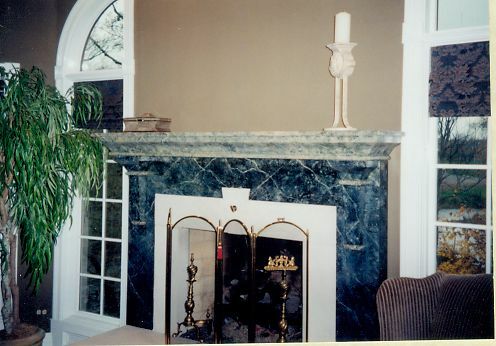 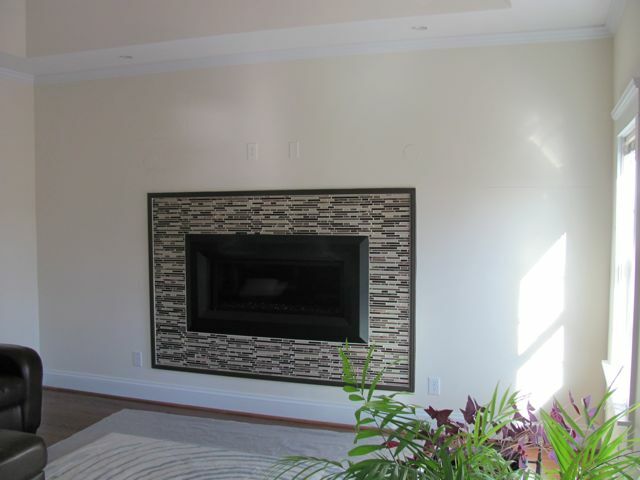 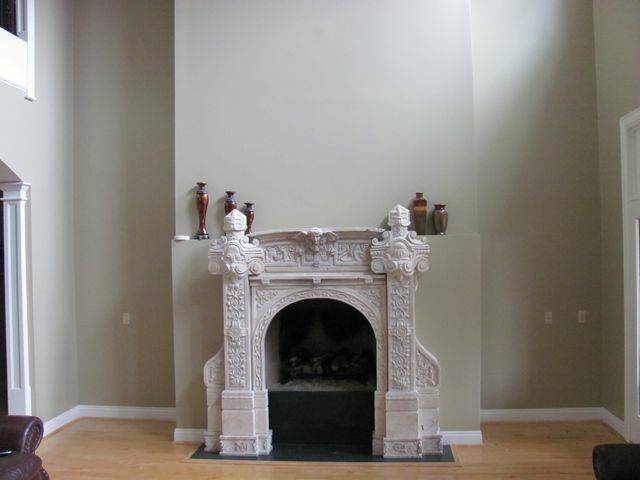 Contrasting color on the mantle livens the fireplace area. 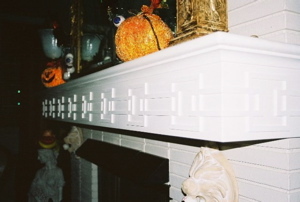 Mantle has raised detail that matches room furniture. 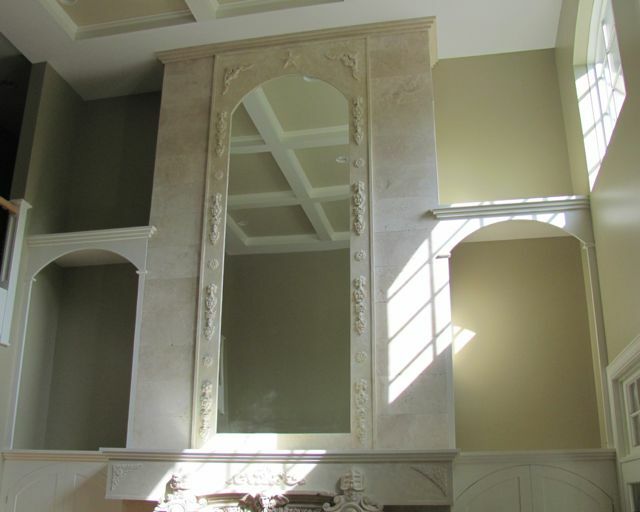 Balance and proportion in the installations will make all the difference.